Riley Covington is still reeling from his father's brutal murder when he learns he's been traded. Meanwhile, the counterterrorism division has detected a plot to detonate electromagnetic pulse bombs that could leave the U.S. without power, communications, and transportation-right down to dropping planes out of the sky. CTD scrambles to stop the attacks, but they run out of time. Amid the fallout, Riley, Scott, Skeeter, and CTD must regroup to make sure the second bomb doesn't reach its destination. Riley Covington is still reeling from his fathers brutal murder when he learns hes been traded. Meanwhile, the counterterrorism division has detected a plot to detonate electromagnetic pulse bombs that could leave the U.S. without power, communications, and transportationright down to dropping planes out of the sky. CTD scrambles to stop the attacks, but they run out of time. Amid the fallout, Riley, Scott, Skeeter, and CTD must regroup to make sure the second bomb doesnt reach its destination. 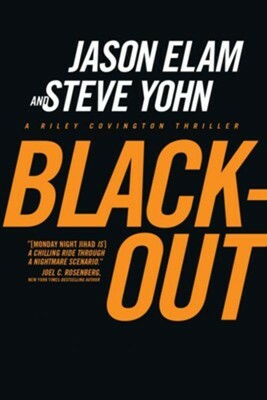 I'm the author/artist and I want to review Blackout - eBook.